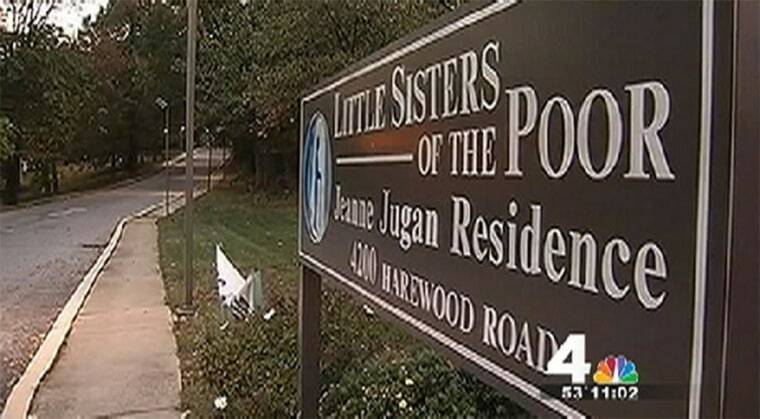 A woman who had been training to be a nun will be sentenced next week in the death of her infant son at a D.C. convent. Sosefina Amoa confessed to suffocating the baby shortly after he was born in her room at the Little Sisters of the Poor in Northeast D.C. A native of Samoa, she had been in the United States for less than a week at the time. In February, Amoa pleaded guilty to voluntary manslaughter. She could have served up to 30 years in prison on a charge of first-degree murder, but the charge was reduced under a plea agreement. Amoa will be sentenced May 23 and is facing up to 10 years in prison. According to police documents, Amoa began having contractions and gave birth in her room at the convent on Oct. 10, 2013. She said the baby fell to the floor after she gave birth to him, and later told officers that she got scared that the nuns would hear the newborn crying, so she covered his face, the documents say. "She said that she placed a black wool garment over the child's nose and mouth and applied pressure with her hand for two to three minutes," the documents say. The following morning, Amoa found a nun and told her she'd found the baby outside before later admitting the baby was hers. They took the baby to Providence Hospital in a black luggage bag. While Amoa told police conflicting information at first, she eventually told them she had known she was pregnant. Amoa also admitted that she hadn't told the nuns at Little Sisters she had been sexually active. An autopsy conducted on the baby determined that he was born at full-term gestation and weighed more than six pounds. The medical examiner said the baby had breathed and had bruises on his nose. "It's a very tragic situation for everyone involved," said Sister Constance with Little Sisters of the Poor in a statement last fall. "We're praying for Sosefina and the baby."